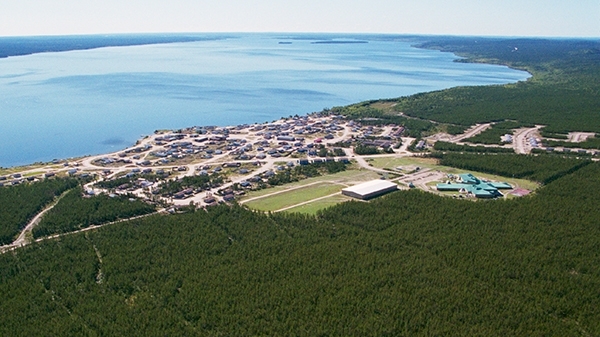 Black Lake is a Denesuline community located in the boreal jack pine forest near the very top of northern Saskatchewan. Nestled on the shores of the lake from which it takes its name, to reach Black Lake, one must fly into Stony Rapids and take a taxi service 22 kilometers by all-season gravel road to the community. During a five month period from November to March, the seasonal road to the south is open. The community has a population of approximately 2,000. The majority of the people who now belong to Black Lake First Nation were originally affiliated with the people of Fond du Lac. In 1899, the Maurice Piche Band signed Treaty 8 in Fond du Lac, but as the traditional territory of some of these band members was several hundred miles north and east of Fond du Lac, they soon asked to have their own system of governance. Joined by Dene who moved from the Patuanak area in the 1920’s and the people who had travelled north and west from northern Manitoba, they became the Stony Rapids Band in 1949. The people of this area traditionally followed the Beverly Caribou herd north to the barren lands in the spring and south to the boreal forest in the fall. Stony Lake had been a place where people camped when they came down from the north to sell their furs, or on seasonal visits. As the people began to stay there on a more permanent basis, the area quickly became too small to sustain everyone. 1952, Father Porte, an Oblate priest, negotiated with the government to have the people moved from Stony Lake to the north shore of Black Lake. And so the community of Black Lake began. The reserve was called the Louis Chicken Band, after the first Chief. 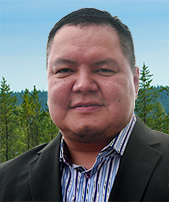 In June, 2016 the Black Lake Denesuline First Nation, along with the First Nations of Fond du Lac and Hatchet Lake, and the four communities of Stony Rapids, Wollaston Lake, Uranium City and Camsell Portage signed a historic collaboration agreement with Cameco and Orano (formerly AREVA Resources). The Yá thi Néné Collaboration Agreement is designed to enhance workforce and business development, environmental stewardship and community investment in the Athabasca Basin. The Yá thi Néné Joint Implementation Committee has released a 2017 Report to Community Members outlining progress made from the date of signing to the end of the year.